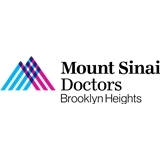 Mount Sinai - Brooklyn Heights Medical Group is a multispecialty group practice dedicated to improving the health of the Brooklyn community and its surrounding areas. Our goal is to deliver the highest level of care to patients of all ages. We provide primary care for patients from birth to senior years and have a growing array of specialties, including imaging services, allergy, and eye care. Our brand new state-of-the-art facilities features the latest in medical technology, where our highly-trained, board certified physicians work collaboratively to provide exceptional medical care. Love her! She is personable, optimistic, realistic, warm and hilarious! She also does not rush. Just awesome!! I was really impressed and put at ease by Dr. Dweck. I had been putting off this appointment for quite some time and she was incredibly patient with me being uneasy and anxious about putting things (eye drops, glaucoma testers, etc) in my eye. She really put me at ease. Fruitful discussions on my health. Dr. Turner has been my son's pediatrician since his very first check-up of being born. My son is now 16yrs old and Dr. Turner is the only doctor I trust when it comes to my son's health. Dr Alperin is a caring empathic physician who shows interest in you as a person and patient.. He was very helping recently in lower and stablizing my BP after a very serious cardiac surgical operation. Virtually no wait - either in the waiting room or the exam room (I had an early appointment). Dr. Lane was pretty chill and nice to talk to. Super easy to understand and he was great at explaining everything. Definitely comfortable going back! Dr. G has been our pediatrian for 5 years we LOVE him. He is very easy to engage, kids take to him easily ad even look forward to seeing him. He takes a holistic approach to his works skillfully mixing his medial expertise with your family expertise to come up with a plan that is truly the best for all. Office staff are polite, friendly, and professional. Dr. Silverman is attentive and also friendly - she is efficient, but not in a way that makes you feel rushed or unimportant. Highly recommend. I love Dr. Aronov, her bedside manner is excellent. She smiles and greet you.